BiCoastalBites: Chocolate Chestnut and Banana Nutella Cupcakes! Chocolate Chestnut and Banana Nutella Cupcakes! Chocolate cupcakes with chestnut buttercream frosting and candied chestnuts on top. So, the cupcakes for the chocolate cupcakes was amazing, but I wasn't very excited about the candied chestnuts. I'm not a huge fan of chestnuts anyway. But the cupcakes themselves were awesome - chocolate coffee! 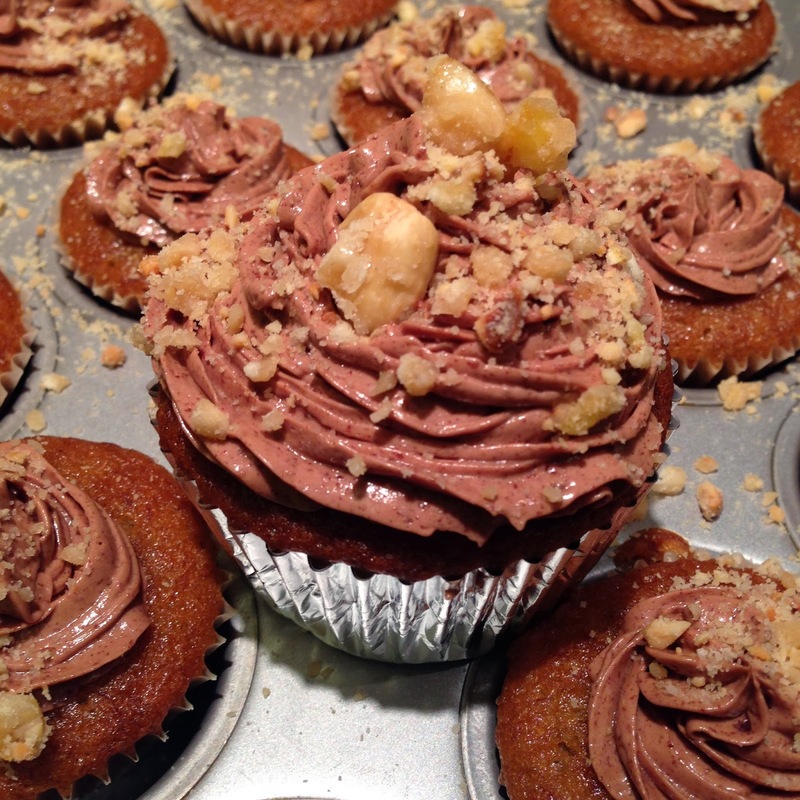 Banana cupcakes with nutella buttercream frosting, topped with homemade hazelnut and banana chip praline. OMG, sooooooo good and soooooo easy! My house smells fantastic! My lovely neighbor gave me some home made nutella just this week so I knew it was a sign that this was the next recipe to follow. Make this, make it now! I'm taking my extra cupcakes to class with me tomorrow! Week 3 at San Francisco Cooking School! Week 2 of SFCooking School! I Survived My First Week of Culinary School! The Swedish Chef Has Nothin' On Me!